[NEW PLAYERS] DO NOT DO IT - What is the point of Forma if it hurts you? Huh... been playing this game for 6 years and never realized I was hurting myself... But seriously. The Foma mechanic is there to prevent players from Ranking an item to 30 and then just applying 8 forma to it all at once. There "might" be special forma released later that can Polarize a slot without resetting rank. But those will be much MUCH harder to come by than the Forma we have now. Which are, to be frank, ridiculously easy to get. 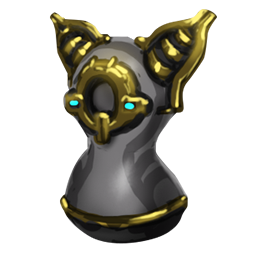 Limbo Prime Parts + Graxx Tennogen = Collar issue. So I noticed that the collars line up properly on the Articula. That's about what I figured, and I can live with the misalignment just fine. I was really just raising my hand on the 'off chance' this might be addressable. Something to the effect of suppressing a sub-animation rig when certain skins are applied. Since there have been a number of skin specific fixes in the past that approach this order. [Sorry, this might be more of a bug? Move if necessary.] And speaking of Limbo. When you use "Prime Parts" with the Graxx Tennogen skin, his Prime Collar misaligns with the Graxx Collar as his head turns. This is not an issue when suppressing "Prime Parts". EDIT: So I noticed that the collars line up properly on the Articula. Feature Request: Reticle element for showing In Rift. Not a complete rework of the reticles, but rather a small something on either side that indicates when you are in the Rift plane. It's really difficult to tell when you are in the rift plane in some missions and lighting conditions. And especially with my colorblindness. And no, you don't always have the opportunity to stop whatever you're doing and look for those wispy lights like what you can see on my shoulder below. As they tend to blend in with the 1,000,000,000s of other visual effects and clues bombarding your eyes. So something like this might help (not just me, but anyone that suddenly finds themselves in the rift, or plays limbo and needs visual aid)... But obviously... OBVIOUSLY, something that looks better. As always, have fun out there, be kind to each other, but equally mean to those that oppose the Tenno! - holyicon / sangraal - Peace! Key binds NEED to be cleaned up. We now have a bind for "Switch Weapon" and "Switch Gun". Both of which have identical function. I suggest you remove "Switch Weapon" and replace it with "Switch to Primary" and "Switch to Secondary" while keeping "Switch Gun" for players that wish to use one key to do both. I used to use Mouse-Wheel Down to wield Melee and Mouse-Wheel Up to switch Guns. What I would like to do now is use MWU for Primary Weapon, and MWD for Secondary Weapon. Right now both my Mouse-Wheel directions just switch between primary and secondary and the actually switching mechanism in game is so flakey, sometimes it switches right past the gun I want to use now back to the one I was just using. WHAT HAPPENED? Along with all that it totally blows my mind you can't manually guard anymore! There was no reason to remove that and every reason to keep it! If you want to switch back to your guns without shooting ... read above. There's literally still TWO binds that already do that! Seriously, please let us set a dedicated Block key. And allow us to map that to the same key as Aim, so that you can Aim when welding guns but Block if wielding melee with the same key. As always, have fun out there, be kind to each other, but equally mean to those that oppose the Tenno! - holyicon / sangraal - Peace! I regret that I have only have but one Upvote to give OP. Considering the number of Rankable equipment players can bring into missions these days... The Item Rewards, Mod Rewards and Mission Statistics boxes are getting squished farther into oblivion. I assume the Mission Progress screen will be seeing a refresh to make it compliant with the new UI "flavors". But in the meantime, it shouldn't be too hard to rewrite the LUA controlling the screen layout to make it more readily readable. At least, show the more pertinent info before scrolling is necessary. Something like this... Please let me know what you all think. 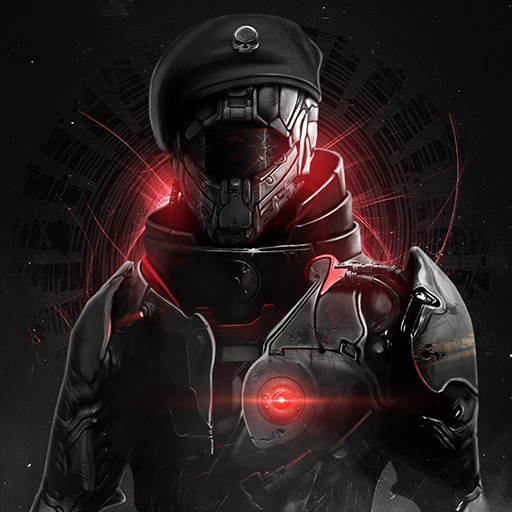 As always, have fun out there, be kind to each other, but equally mean to those that oppose the Tenno!- holyicon Peace! [Guide] How Not To Emblem: A Cautionary Tale. Right now the light areas around the person is ranging between about rgb(204,197,189) and rgb(235,225,218). Considering that this makes up the majority of the image, it's gonna produce a lot of flare. If you play around with Levels and/or Curves a bit, you may be able to dim it and preserve detail... After this Levels edit, the clouds/lightning are about rgb(182,181,174) and rgb(198,191,184). Then after this Curves edit, the clouds/lightning are about rgb(150,150,145) and rgb(165,165,163). It'll still be "Shiny", but considerably less so. Doing this with the source will produce better results in terms of preserving detail than what I could do with the 128px Emblem version, so I'll leave that to you. 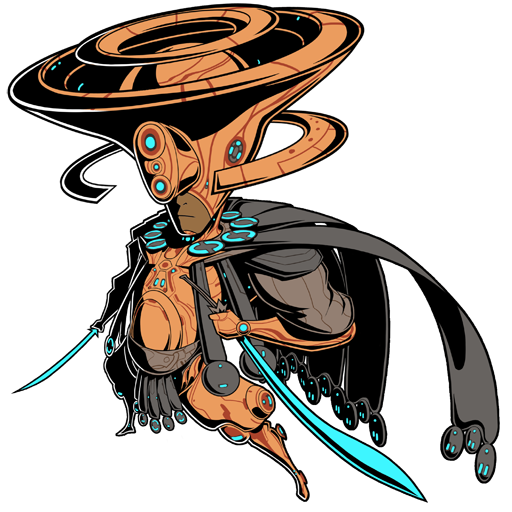 Good luck and good hunting, Tenno! I actually don't see anything that's wrong with it considering that the style is a single tone without (much) partial transparency (just along the edge between the red and the transparant). Not much risk of the "partial transparency glitch-flaring thingy" happening here. At least not in a volume that would hide the design. That said, I'd need to load the source file into an editor to see exactly what's going on with alpha channel, but again, it looks fine. If you've already submitted it and are having flaring issues, what I would do is: * If you're using an alpha channel to create the transparency, make sure the color of the pixels masked out by an alpha channel are all the same tone. * If you're using empty pixels on the emblem's layer to create the transparency, make sure the transparent region outside the anti-aliasing of the emblem's edge is 100% cleared/deleted. What I've seen (and experienced first hand) is even pixels with as little as 1% opacity will still render a full volume flare if there are enough of them in a cluster.  The partial transparency of an anti-aliased border, however, will not produce a significant flare if it's kept to within 2px wide, 3px on a diagonal. And you want to keep the border as close to what you have now to avoid jagged edges. That leaves the only other issue that might pop up, the brightness. Your red is roughly/near rgb(215,25,32) in most places I checked. Even though the red value is above 200, I expect the combined rgb brightness to be low enough not to produce an overbright flare. Perhaps a soft, warm-ish glow. Remember that if Warframe's renderer does actually flashlight it (which I doubt), you should still be able to Zendesk ticket it for a swap with a dimmer version. So overall, I give this Emblem a thumbs up. Good luck and good hunting, Tenno! Edit: I'm not 100% sure on this, but symbols and images from other games 'might' not be allowed. Though that may only pertain to copyrighted media. That may be a question for the Players helping Players section or better research into allowed images (TOS) errata. Thanks For Watching Devstream #118! Just further expanding on color deficient vision accessibility. I've been reviewing the footage and I can only see the "blob" you're supposed to shoot at in less than half of the examples shown in the stream. I understand this is all WIP, so please allow me to suggest an alternative to the blob, (click image for an un-squished view) I'm just calling it a "Targeting Thingy" for lack of better name. But as you can see in the mockup, It's a tri-forked reticle that spins. The fact that it is a high-contrast element that is moving in a predictable pattern helps color deficient visioned players see what it's actually trying to show. Again, this is just a suggestion, and really anything that gives this kind of visual cuing would suffice. It's just something I whipped up for example sake.